A new 40-minute documentary film by Canadian History Professor Ron Harpelle, entitled Hard Time, focuses on the life of Robert Hillary King, who spent 29 years in continuous solitary confinement until his conviction was overturned and he was released from Louisiana’s infamous Angola State Prison in 2001. 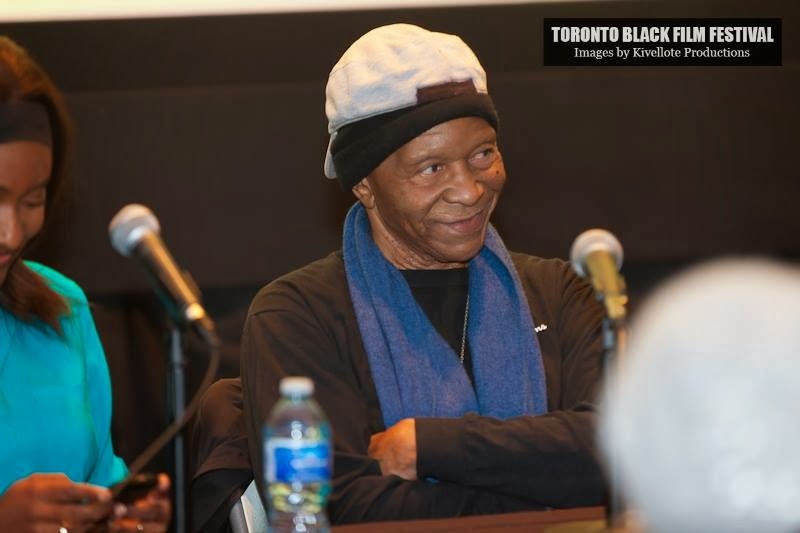 Along with Herman Wallace and Albert Woodfox, Robert King is one of three Black Panther political prisoners known as the Angola 3. Last October, Herman Wallace died from liver cancer just days after being released from prison. 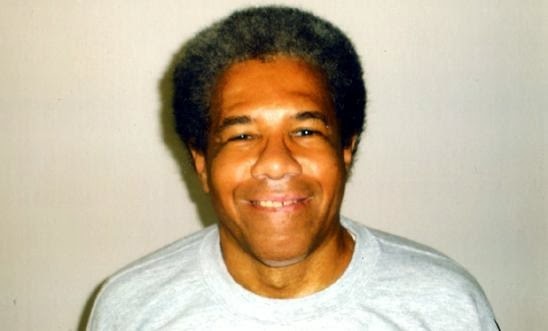 Albert Woodfox remains in solitary confinement to do this day, with the upcoming date of April 17, 2014 marking 42 years since he was first placed there. When Albert Woodfox’s conviction was overturned for a third time in February 2013, his release was halted because the Louisiana Attorney General immediately appealed to the US Fifth Circuit Court, despite an Amnesty International campaign calling on the AG to respect US District Court Judge James Brady’s ruling and not appeal. 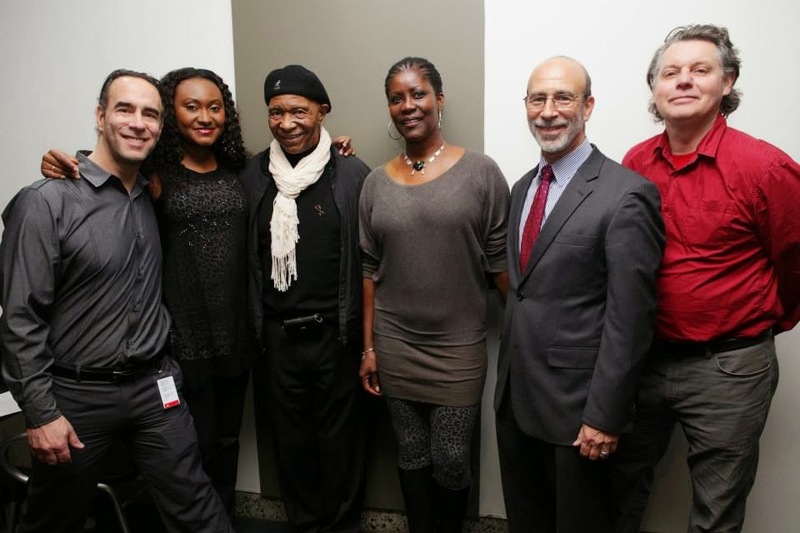 The Amnesty campaign (take action here) is now calling for Woodfox’s immediate release. 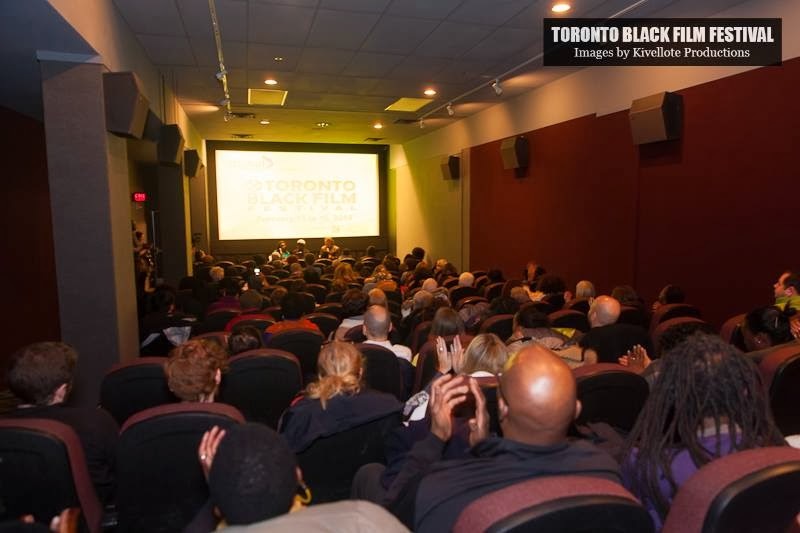 Hard Time was recently shown in Canada at both the Toronto and Montreal Black Film Festivals, following Robert King’s testimony in Chicago about solitary confinement at the annual meeting of the American Association for the Advancement of Science earlier that month. On April 20, Hard Time will be shown in Paris, with French subtitles, at the Ethnografilm Festival. The full, 40-minute version of Hard Time can now be viewed online, along with Ron Harpelle’s previous film, entitled In Security. Our interview with Harpelle is featured below. 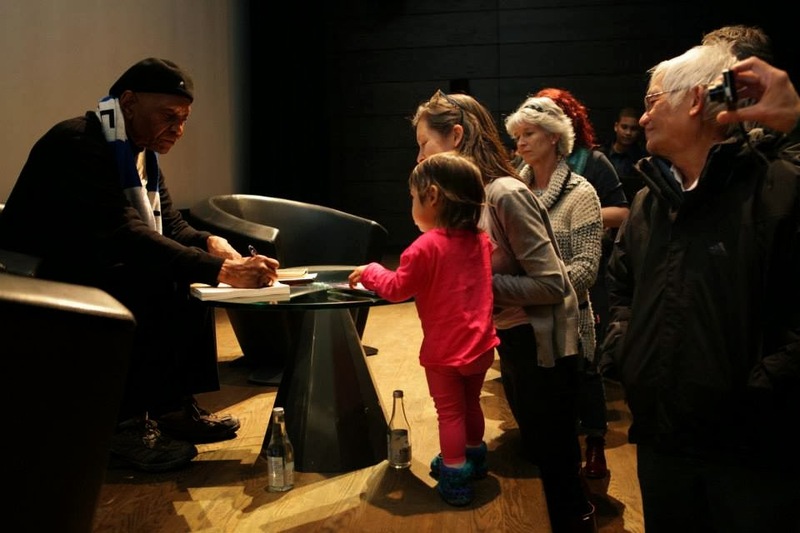 Angola 3 News: How do the issues examined by your earlier film In Security relate to your new film, Hard Time, about Robert King, the Angola 3, and the use of solitary confinement in US prisons? How did In Security lead you to Robert King and the eventual making of Hard Time? Ron Harpelle: I stumbled onto Robert King while working on In Security, a film about barbed wire. I’m a historian who happens to make documentary films and what really interests me is how things we see as a part of everyday life have evolved and shaped the society we live in. My film about barbed wire shows how a simple 19th century innovation in agriculture became a means of restraining the movements of people and a universal symbol of oppression. Barbed wire is also known as the “Devil’s Rope” and my objective was to make a film that would leave audiences thinking about the barbarism that surrounds us all the time. 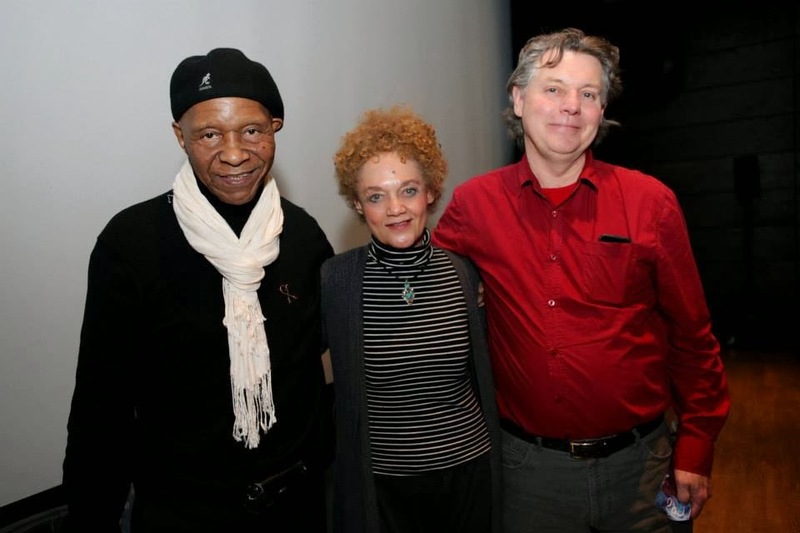 The film consists of a series of vignettes about barbed wire that tie the stories of dispossession, suffering and punishment together, and it is dedicated to the Angola 3. In Security covers a little more than a century of history and it ends in the Louisiana State Penitentiary, aka Angola. I contacted the prison authorities and asked if I could somehow be allowed to film in the prison. To my surprise, they wrote back immediately and welcomed me to tour the facility. This was my first time in a prison and I knew that for the purposes of my film I had hit the jackpot. I had already filmed in the West Bank, which is a big prison, and in South Africa, where they produce a razor wire with a fish hook blade that is designed to cut and catch. What I needed was something that brought the film to a conclusion and Angola is the most spectacular example of barbed wire. This is when I started to read the history of corrections in Louisiana and of Angola. I soon discovered Robert King living in Austin and I made arrangements to meet him when I was in town on my way to film a segment of In Security at the border wall in Brownsville. I’m not sure what he thought about me, a Canadian interested in razor wire, but I really had no idea what sort of man King would be. I don’t know what I expected other than someone who would be able to tell the film’s viewers what it was like to be locked up in a prison for such a long time. When I knocked on his door I was greeted by a mild mannered man living in a small house decorated with Panther paraphernalia in every corner. I had read his book and searched the internet for information about him and the A3. I really couldn’t believe my luck at finding a subject like Robert King and I only hoped that he would be a good interview. In my mind I was arriving to ask a wise man to share his thoughts with me and I quickly cut to the chase by asking him to tell me about barbed wire. That’s when King told me he couldn’t help me with my film because, he said, “Where they kept me it was nothing but steel bars and concrete.” That was the moment I realized that another film, a sort of sequel to In Security, would have to be made. Robert King didn’t make it into In Security, but he also didn’t end up on the cutting room floor. Like most people, I had never given solitary confinement more than a passing thought. I knew it existed and I knew about injustice and cruelty in the penal system, but I had never been obliged to think about it. I had also never had the privilege of meeting someone like Robert King. During that first meeting I asked him all the questions people who first meet him ask and I got the answers he usually gives. Like all those answers that I have now heard so many times, he was sincere and insightful and as always, it was as though he was being asked the questions for the first time. I had never met a Black Panther either. They weren’t big in Canada and by the time I became politically aware, they were a thing of the past. I’m too young to remember the summer of ‘68, but there were a lot of draft dodgers and other leftists in our universities, so I read many of the books that Herman Wallace, Albert Woodfox and King read in prison. I was, therefore, taken with King’s politics and fascinated by the story of his radicalization. I saw that King has a loyal network of committed people around him who support the A3 cause. In him I saw an opportunity to make another film, this time about the life of a remarkable man. The result is a film called Hard Time. I didn’t have much of a budget for the film but I knew it was one that had to be made. Anyone who follows the news about the A3 knows that Robert King is a moving target. I work with my wife and together we stalked King for about a year whenever our paths came close to each other. In this way I met several of the people who are closest to King and I interviewed some of them. But in the end, the film is just about King and it is his story punctuated with archival footage and photographs. I see it as a film that can take King’s story to all the places he can’t go himself. 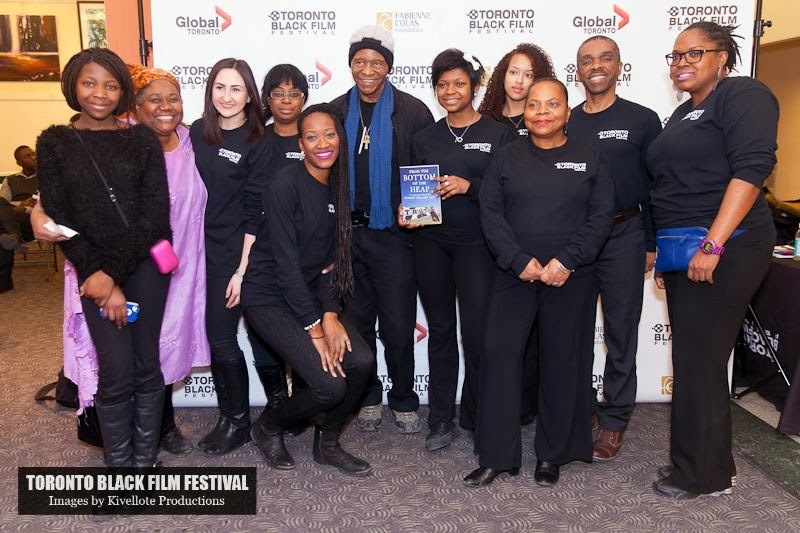 I do not make films that confirm what people already know, so I made Hard Time to help explain the history of civil rights and the Black Panthers to new audiences. Robert King is the thread that runs through this history. A3N: Could you say more about your time spent with King? RH: I wouldn’t spend time with him if he wasn’t a pleasure to be around. When we first met he would often say things like “I’ve had a lot of time to think about that.” He doesn’t say that to me so much anymore because our conversations have changed. I no longer ask many personal questions about him. Instead, we talk about issues and like anyone who has had a lot of time to think about things, and his responses are thoughtful and referenced. King is easy going but he is a man who is making up for lost time and he has both a political consciousness and a cause. I now spend lots of time thinking about what King says and trying to answer his questions. 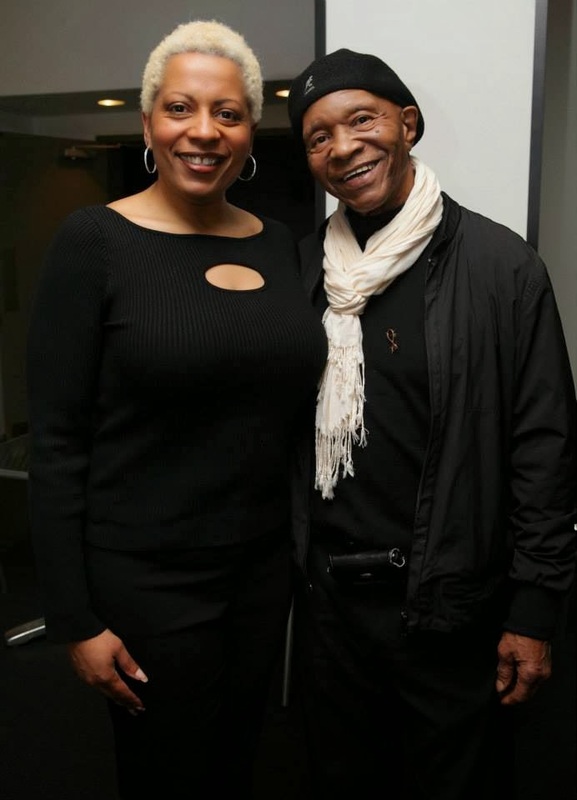 When I last spent time with King he had just come from the American Association for the Advancement of Science conference in Chicago where he was on a panel about the long-term effect of solitary confinement. I joked with King that he was not exactly the best example of all the damage solitary has on a human being. 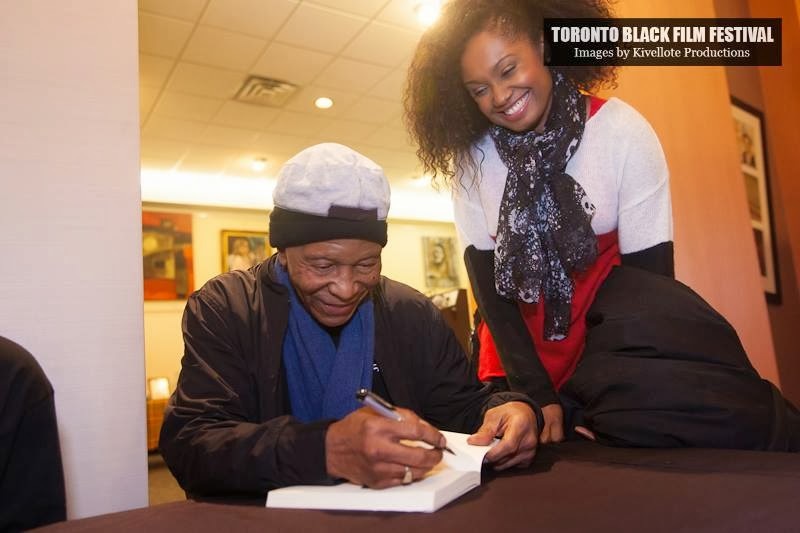 There is no escaping the fact that for three decades he was the subject of cruel and unusual punishment, but his spirit is such that he gets up every morning with the drive to change the world. This is a remarkable statement about King’s personality and humanism. 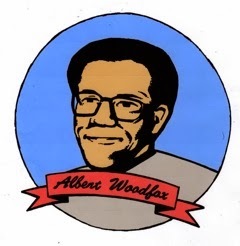 A3N: Looking at the Angola 3 case, and more specifically the continuation of Albert Woodfox’s nearly 42 years in solitary despite his conviction having been overturned for a third time last year, what do you think motivates Louisiana authorities? Is it to be vengeful as Amnesty International argues? RH: Vengeance is one thing that motivates some, but it is the system that permits the Louisiana authorities to act in the way they have. When I visited Angola I was shown around by a man who was doing his job, just like all the other people working there who are doing their jobs. I was shocked when he told me that the only educational program offered in Angola is a religious program that enables prisoners to become preachers. Evidence of the success of this program are the numerous churches that have been built on the prison. I was told that it would be a waste of money to provide any other kind of education to the 5200 men in the prison because most were going to die in Angola and would never be able to use their education. However, there is some training because everybody except those in solitary work until they die and the prison turns a profit by selling commercial crops and manufacturing things like license plates. It also turns a profit by holding two rodeos per year where several thousand people from the outside go to watch men who did not grow up on a ranch risk their lives in an attempt to win a bit of money. The prisoners work off the cost of incarceration in the fields and factories run by prison industries at a rate of 4 to 20 cents an hour. We speak of slave wages, but even slaves had more freedom than the men in Angola. The US is one of the most affluent societies in world history and it seems to me that since most of the men and women who end up in prison are poor people, a better use of their time in prison would be to provide them with an education and programs that would allow them to work off the negative effects of being, as King puts it, from the “bottom of the heap.” The authorities are merely products of a system that relies on convict labor. It is also not just the A3 and Albert Woodfox who are victims of the system. They just released Glenn Ford, a man who spent 30 years on death row in Angola for a crime he did not commit. Albert remains in prison as the last of the A3 to be in solitary but there are 80,000 other men and women in 6 by 9 cells across the United States. I’m sure that some of these people are a danger to themselves or to others, but keeping tens of thousands of people in cages is the sign of a society that is in real trouble. A3N: What about Albert and the A3 do you think LA authorities have viewed as the biggest threat? RH: The A3 are a threat because they challenged the system and their case can change the system. 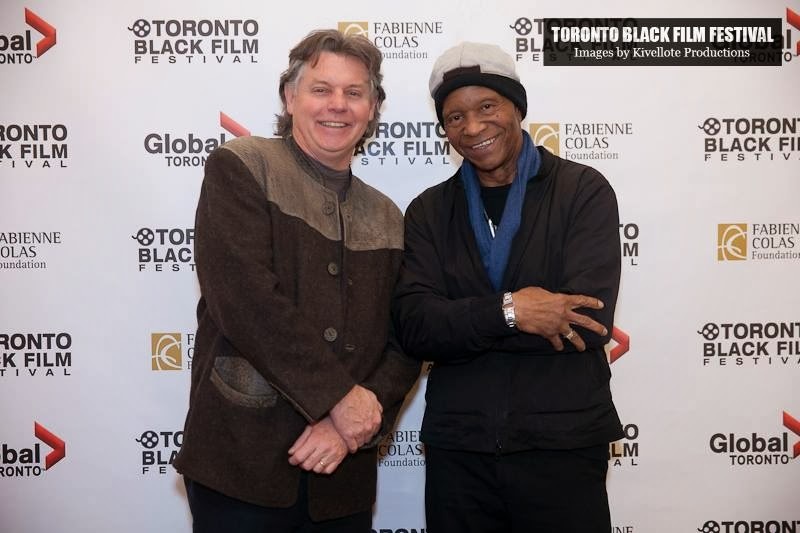 I use the present tense because I was with King in New Orleans to show Hard Time and after the film a man stood up and said: “You maybe don’t remember me, but 35 years ago I was in CCR with Herman, Albert and you, and you saved my life. I spent three years in solitary and you taught me how to survive. When I got out of solitary I turned my anger into something positive, I did my time, and I am here today to thank you.” I should also add that there were maybe 30 men in the room and judging from what I heard, as a group they had spent a total of about 600 years in Angola. That’s 600 years of labor, 600 years of suffering, 600 years of lost opportunity for humanity. Albert’s 42 years are easy to focus on, but there are 2.5 million men and women in prison in the United States on any given day. Every year that’s 2.5 million years of contributions to society that are lost. Not all of these people can contribute more than they cost society, but most of them can and it is incumbent on the authorities in Louisiana and elsewhere to see them as more than just an alternative to slave labor. A3N: What message do you hope that viewers of Hard Time will walk away with after seeing your film? RH: The message of hope is, as King says, “just put one foot in front of the other and you will get there.” That’s what the struggle for human rights and social justice is. I think that when viewers meet Robert King and find out how he overcame the most incredible obstacles to become the man he is, they can look around at their own situation and see how many options there really are that will allow them to make a better life for themselves and for all the rest of us. There is a message of hope in his story and it is for anyone who dreams of a better future and is willing to pitch in to make it happen. I think that most people who see the film or, better yet, meet King, come away with admiration and inspiration. This is the King effect. How can anyone really complain about their lot in life after hearing about what Robert King endured, how he succeeded in conquering a mountain of injustice and how he now spends just about every waking moment working to benefit those left behind and all those victims of injustice somewhere in the world that he will never know? Hard Time is a story about a man who is making a difference. 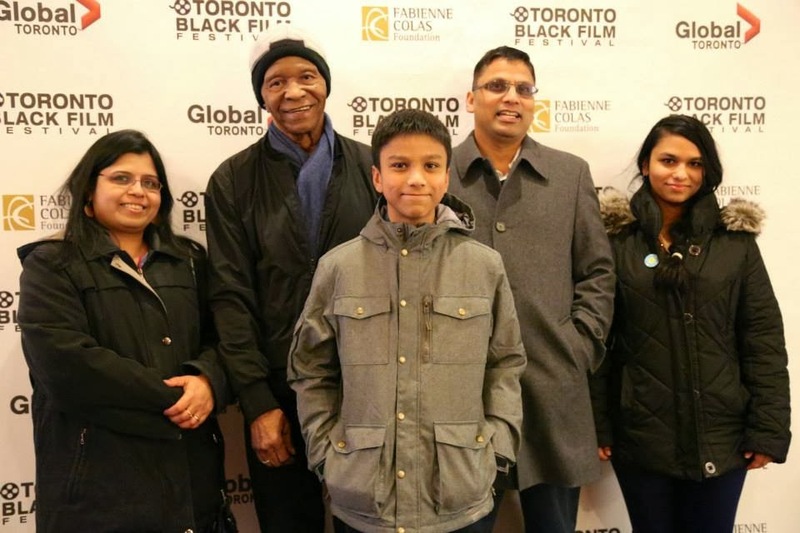 A3N: As you have interacted with the audience at recent screenings in Montreal, Toronto, and beyond, how has Hard Time been received? RH: It is a strange thing to have the subject of your film with you and ready to answer questions after the screening. They never line up to talk to me, but they certainly line up to meet King. He must be tagged in hundreds of photos on Facebook and I’ve seen blogs and other post-screening media that illustrate the power of his presence and message. Let’s also remember that there is a difference in Canada. 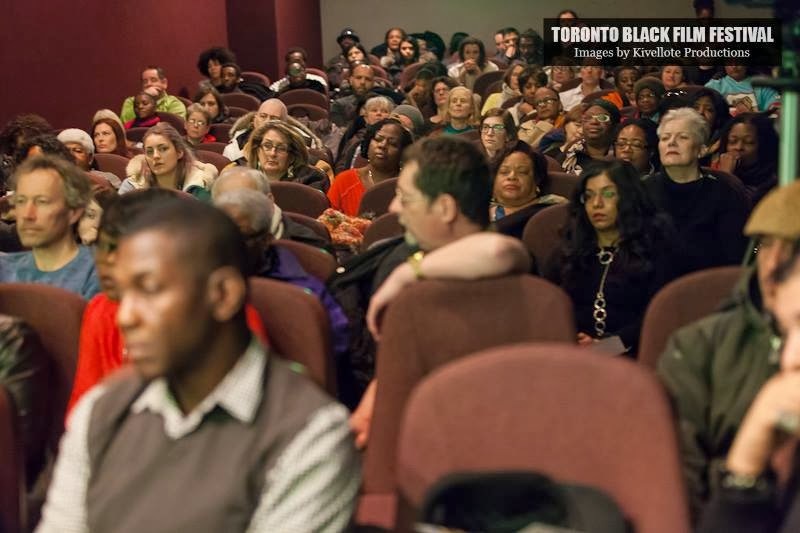 Most of the members of the audience are either West Indians or Africans, or their Canadian offspring. Canada was not a prime destination for slaves and our immigration laws only opened up in the 1950s. The Underground Railroad brought more runaway slaves to Canada than slavery brought slaves. Our racism is focused differently. Our host for the events in both Toronto and Montreal was a prominent Haitian woman and Haitians freed themselves from slavery in 1804. 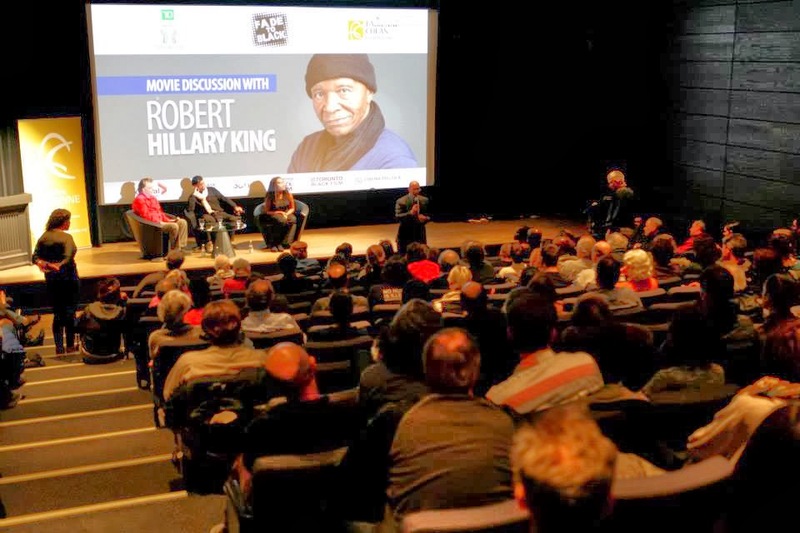 What this means is that the majority of the people in the audience had lived experiences that are very different from those of Robert King. Their reality in a city like Toronto or Montreal is different from that of people living in places like Louisiana. These are people with their own civil rights heroes but they can identify with the themes and stories in Hard Time. Another side of this is the Montreal media experience. Robert King was featured in the most important newspapers and on a television show called Tout le monde en parle. The title means “everyone is talking about it,” and his 15 minute interview was alongside leading Quebec celebrities, including Justin Trudeau, a man who may well be our next Prime Minister. This was the royal treatment in a province that hates royalty. They even cracked open a bottle of wine, toasted King on national television and gave him a standing ovation. Over a million viewers heard him answer questions and thousands more watched it online. 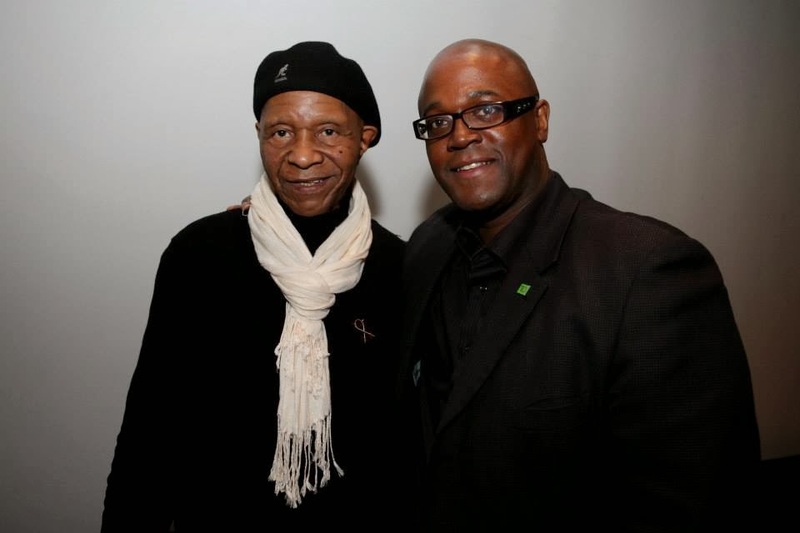 King was also a guest on the Prison Radio Show at McGill University and a few other media outlets. 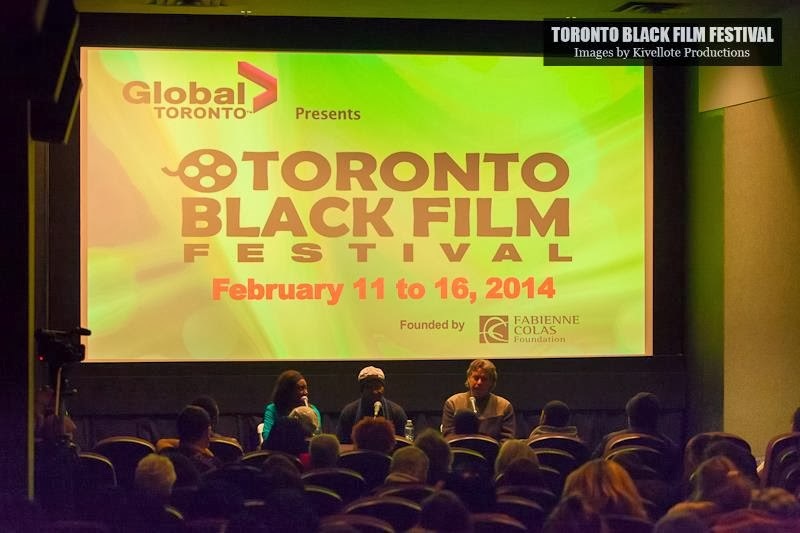 Not only that, but the Montreal screening was introduced by the U.S. Consul General to Montreal. All of this media attention adds up in the internet universe and helps draw attention to Albert Woodfox and the system that puts millions of people behind bars. As a filmmaker, how do you think films and other forms of activist-oriented media can be used to affect similar changes in people’s consciousness, like the metamorphosis described by King? Did you style your film in any particular way, so as to affect this type of consciousness change in the audience? RH: I like to think that I make films for people who are between about 15 and 25. This is because I believe that this age group is the near future and they are still young enough to be open to new ideas. I have been an activist for some time, but it was only when I started making films that I was able to see the kind of impact the medium can have. This is because films do not require effort on the part of the viewers, but, if the viewer is open to new ideas, they penetrate like no other medium. 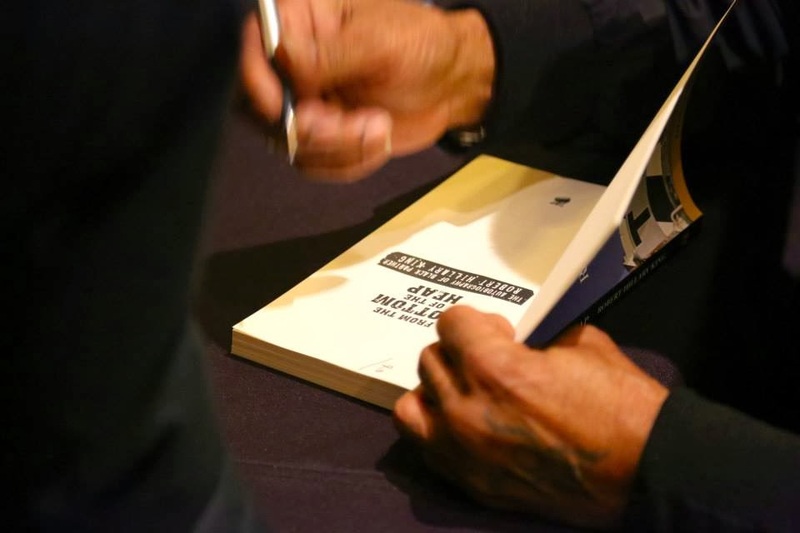 Hard Time begins with some basic information about Robert King and the Angola 3 and ends with some statistics about incarceration in the United States. Connecting this basic information is a history lesson told by Robert King. 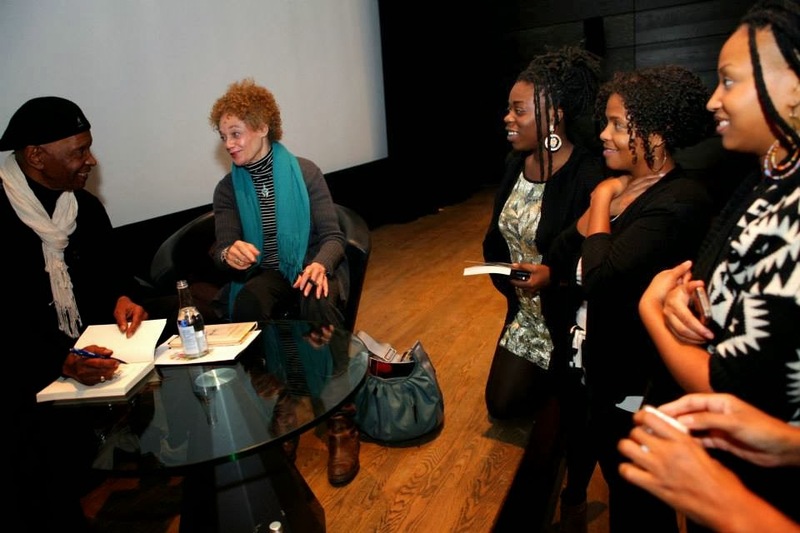 His way of speaking combined with the archival footage and images I was able to find tell a compelling tale of the 1960s and the rise of Black Power. We do hear a bit about the brutality of prison, but this is mainly left to the imagination of the viewer because Hard Time is meant to be an inspirational film. All of this is presented in a subtle manner so that the film can get under the radar of the censors who keep ideas out of schools and away from the young people I want to reach. RH: The film is available for free online but I hope that people will not watch it alone. 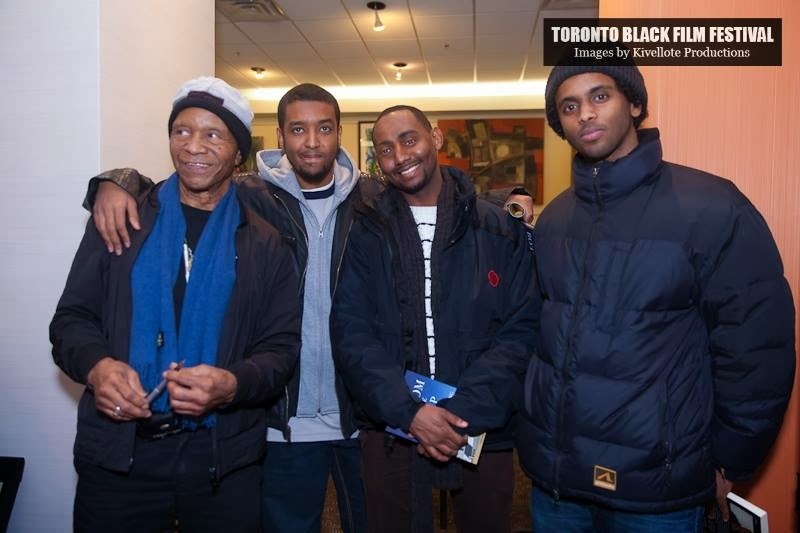 It is important that individuals come together to discuss Robert King’s story. There are all sorts of lessons that can be learned and all sorts of possibilities for people to take collective action to make a change in our world. 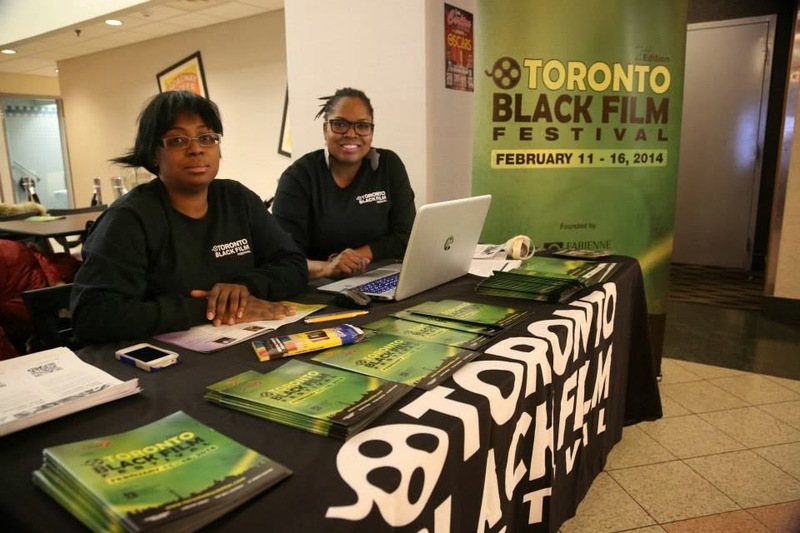 This film can and should be used to engage people in the A3 case and injustices everywhere. There is so much that needs to be done in so many communities. This is what Robert King learned while in prison and it is the lesson he shares with the world.